Home Lifestyle Pets & Aviaries Can You Use Your Aviary As A Chicken Coop? One of the greatest benefits of aviaries is that they are so versatile and not only suitable for birds but they can also be used as a chicken coop, as dog kennels, catteries or an animal shelter. Aviaries are usually made out of steel and their primary purpose is to keep and breed birds in them. 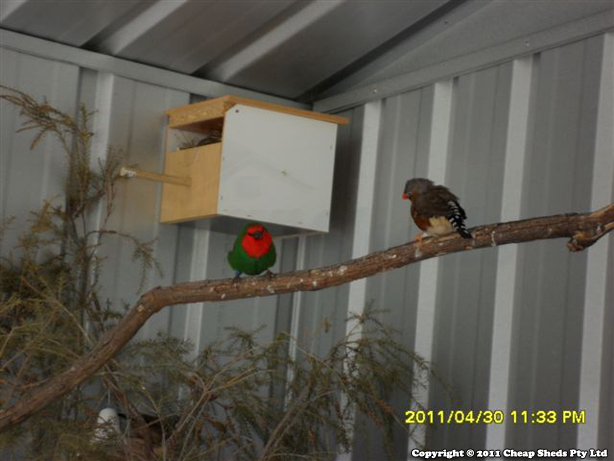 A good size aviary can provide enough room to move or fly around for your birds compared to the bird cages. If you already have an aviary or looking at getting one, you can easily set it up as a chicken coop, just by adding perches and boxes where you’d like your hens to lay eggs. Just like what Mark and his family did in the photo below. Make had purchased a large aviary from Cheap Sheds and made some alterations to make it a chicken coop. Most of the available steel aviaries on the market come with wide mesh panels for better viewing and they also have good ventilation which helps to air out the smell of droppings etc. 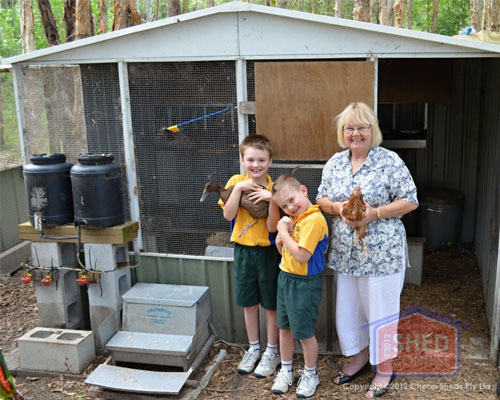 These fresh-air houses provide great air quality for the chooks and the light that gets in through the mesh also adds to their general wellbeing. Another very important benefit of the steel aviaries that they are easy to clean and therefore more hygienic, providing an ideal environment for your beloved pets. These days there are wide range of aviaries available, varying in size, colour and design and they come in flat packs, made for the DIY market. Step by step illustrated assembly guides are provided to make sure the installation is a fun and easy project. All of my questions stelted-thanks! Thanks for the comment Rob, easiest way to contact is through our store, that you can click through via the top nav. I hope it helps.